Are you interested in building a successful Independent Educational Consulting practice? Or in enhancing the IEC practice you have? Then the HECA Professional Development Institute (PDI) is just for you! Over two days you will learn from leaders in the college counseling industry, connect with professionals from across the world, and receive training materials you will use for years to come to help you build or enhance your practice. What is the Professional Development Institute like? It is an intensive two day training for IEC’s or those interested in becoming an IEC. What is covered in the Institute? As an IEC, you are both a business owner and an educator. One of the unique features of the HECA PDI is training on both aspects of being an IEC with an emphasis on ethics. New this year due to popular demand, the Institute is a full two days of training. See the Professional Development Institute Training Agenda for details on topics covered. The PDI faculty includes past presidents, Bob Dannenhold, Claire Nold-Glaser, and Cyndy McDonald, and guest presenters. All consultants are invited to attend, but especially those with 0-6 years of experience. Open to members, provisional members and non-members. 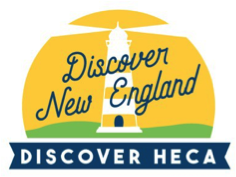 The two day HECA Professional Development Institute is affordable. Save money by registering early for the Institute. Can I attend both the PDI and the HECA conference? Yes! The PDI is purposely scheduled before the HECA conference to maximize your training opportunity. Attending the PDI will help you be better prepared for the HECA conference. You will get more out of the conference if attending the PDI first. Register for both the PDI and HECA conference together. What is included in the PDI registration costs? Your PDI registration includes training, PDI binder (provided electronically), 2 continental breakfasts, 2 lunches, and snacks and beverages for two days are included in your registration costs. Hotel registration is not included. PDI participants can register at the conference rate at the hotel. Once you register for the Professional Development Institute, you are able to make your hotel registrations. Use the PDI REGISTRATION button to register for the Professional Development Institute. Use the CONFERENCE REGISTRATION button to register for the conference. Use the HOTEL REGISTRATION button for your hotel registration.